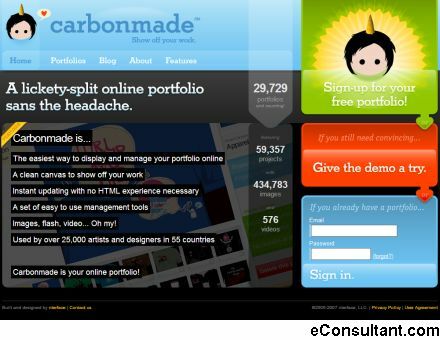 Description : A new online portfolio application, Carbonmade. Carbonmade is a simple tool that will help you manage your work and display it on an uncluttered canvas. This space will be dedicated to keeping you up to date on what we’re doing, what we have planned, and how to best use Carbonmade. Thanks for stopping by.